"A wonderful Caribbean-inspired marinade for chicken that's perfect for barbequing." Whisk lime juice, dark rum, olive oil, soy sauce, garlic, cinnamon, ginger, and hot sauce together in a bowl. 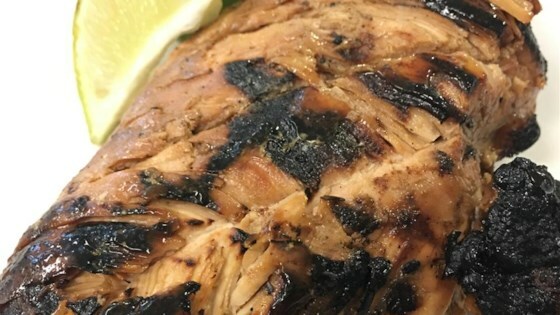 This versatile marinade is great for grilling chicken, and is simple to make. To use: pour marinade over chicken and refrigerate for at least 30 minutes before grilling. I marinaded this for about 7-8 hours, and my chicken tasted great and was so juicy. This one is a keeper! This is a great marinade! I made as directed and marinated my chicken breast over night. Grilled the chicken and it was tender, moist, and very flavorful!